1. 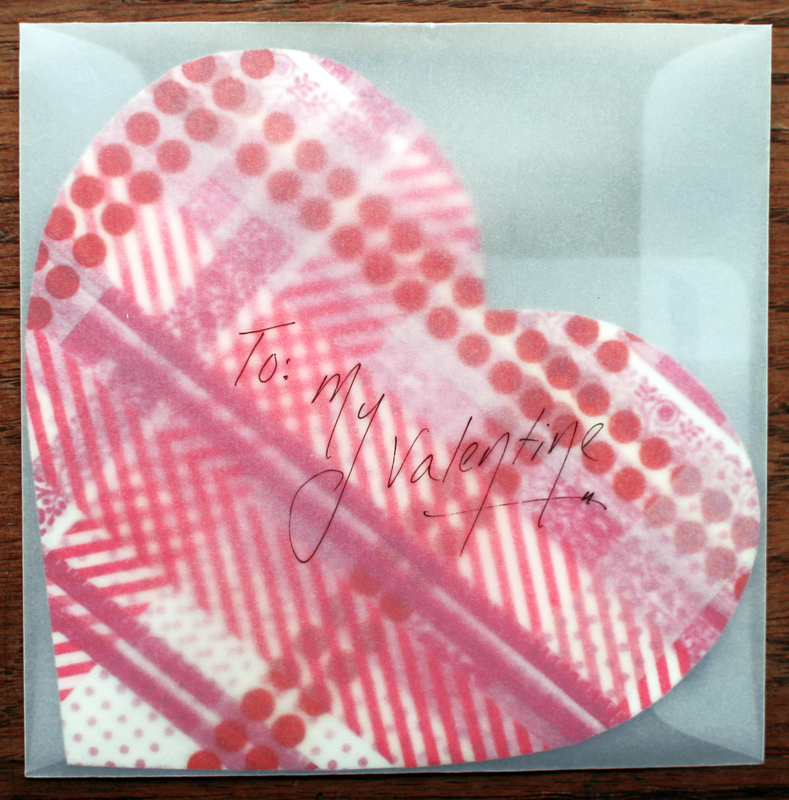 To make heart shape, fold card stock in half and draw half a heart with the folded line in the center. Cut out half heart while folded and then unfold. 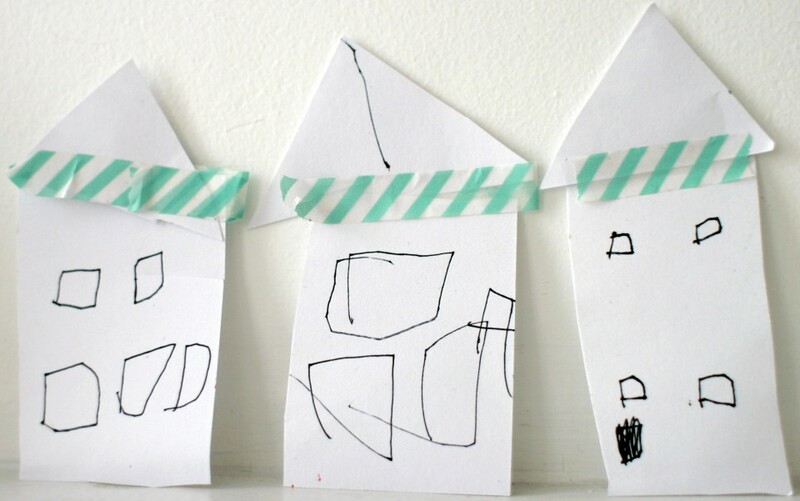 Reuse this pattern by tracing on to other pieces of card stock. 2. 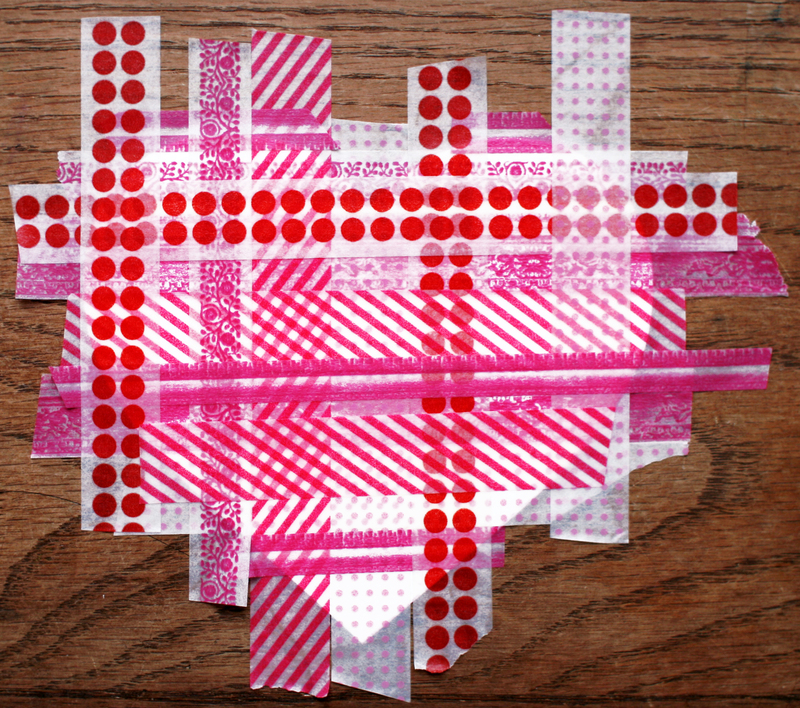 Stick tape down on heart in alternating vertical and horizontal lines. 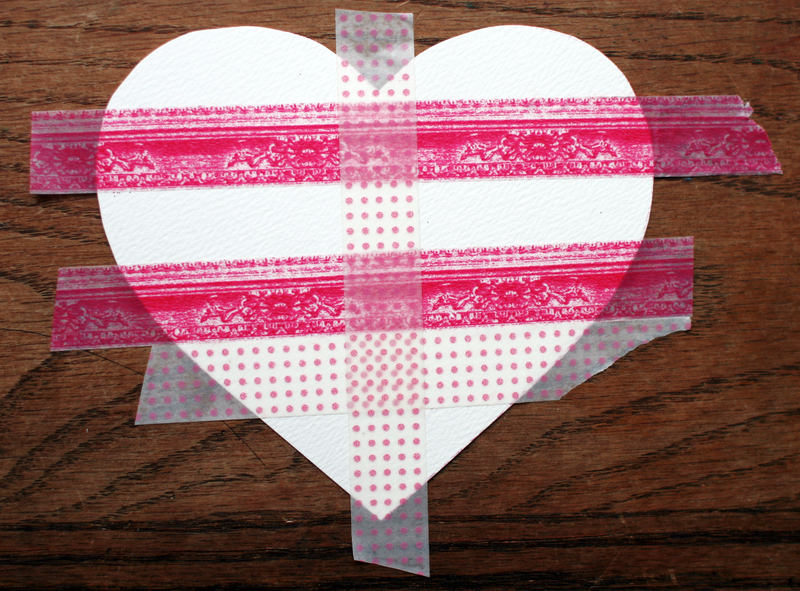 Be sure the tape extends to edges of heart, as you will trim excess at the end. 3. 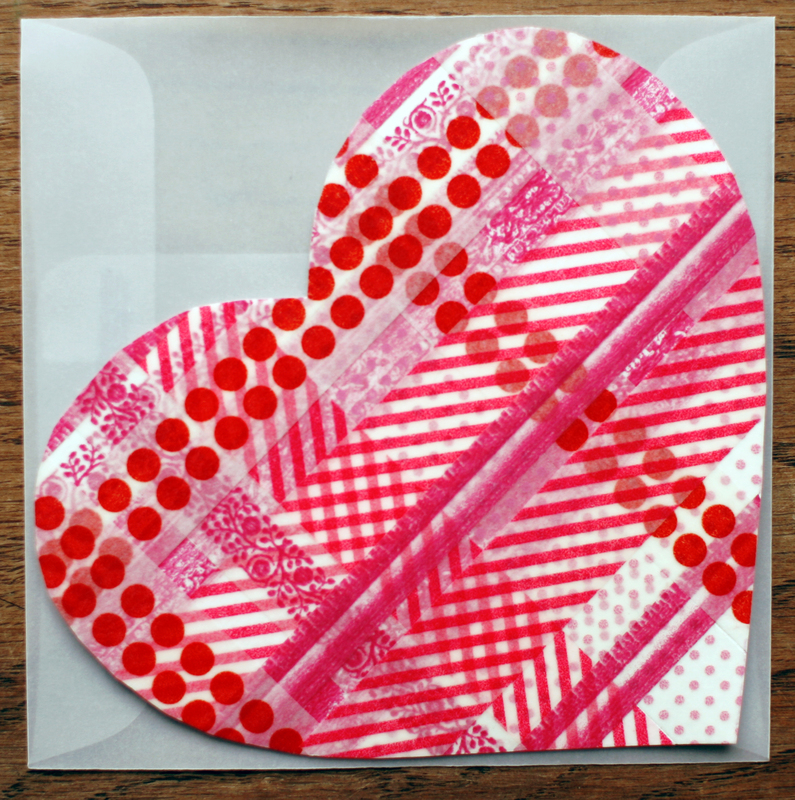 Once desired pattern is achieved, turn heart over and use scissors to trim excess tape. 4. Write your message and place in envelope. These square vellum envelopes from Envelope Mall are our favorites. We buy them in bulk and keep them ready for letter writing. 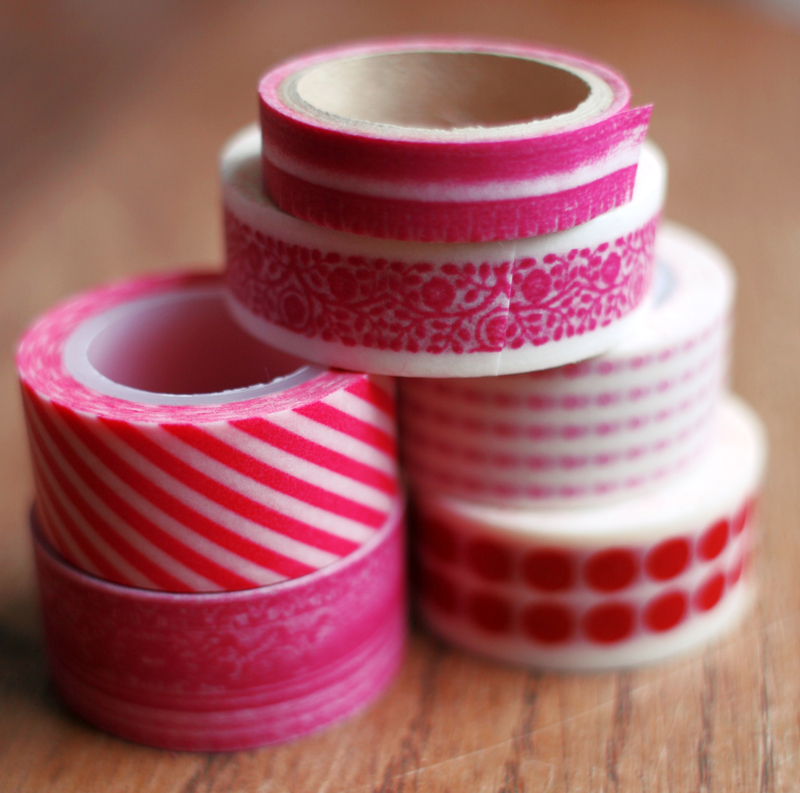 What a great idea for washi tape! I’m on it!. Love it and Josie’s birthday month. Do you and Chris like Mumford and sons? They will be in Brooklyn next week.